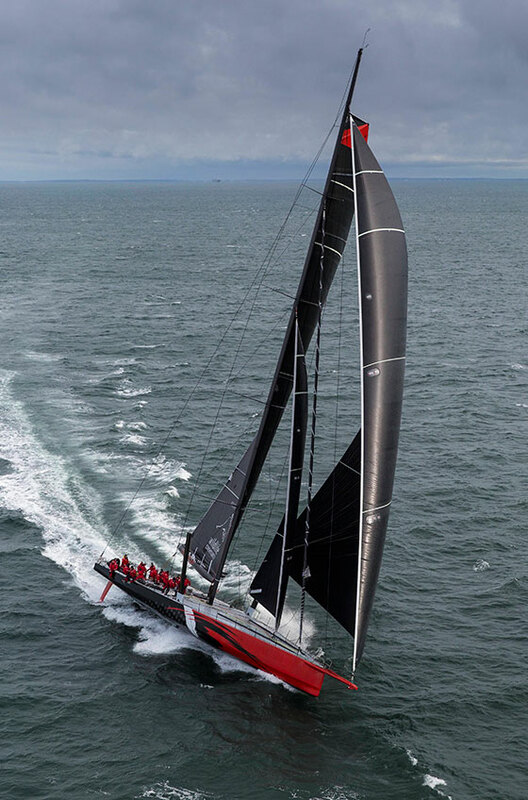 After a few brief days of sea trials in Newport, Rhode Island, COMANCHE sets sail for Charleston, South Carolina, the first leg of the passage to Sydney, Australia. The weather in Newport during the seatrials and for the offshore passage south was anything but glorious, but by all accounts, the boat is already starting to deliver impressive performances. Although COMANCHE's performance data is still being kept under wraps, racing skipper Ken Read has been wearing a rather broad smile lately. The 100ft pre-preg carbon racing wonder was launched at Hodgdon's shipyard in East Boothbay, Maine, just a few short weeks ago. 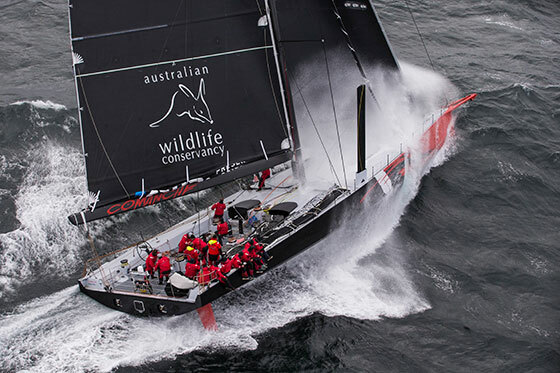 With COMANCHE now officially on the way to Sydney, Hodgdon CEO Tim Hodgdon said "all of us at Hodgdon are proud to have been associated with this important build, and we wish Jim, Kristy, Kenny and the entire crew all the best for Sydney-Hobart and all of their racing ventures." Having started in 1816 during the era of clipper ships, Hodgdon is America's oldest boat builder. Still family owned, today this East Boothbay, Maine company has evolved into a leader in advanced composite construction while maintaining exceptional skills for world class traditional and modern interiors. The company's divisions include high end superyacht interiors (up to 80M), custom sail and power yacht construction (up to 60M), defense contracting and custom superyacht tenders. The company currently employs over 150 employees, most of whom are skilled and highly skilled labor. These and other contracts are putting pressure on Hodgdon to hire additional skilled labor. These and other contracts are putting pressure on Hodgdon to hire additional skilled labor. Hodgdon is a fifth generation family run company still located in the heart of Maine's famed Boothbay Region. Among some of Hodgdon's more notable contributions to yachting in the last few decades are: ANTONISA (124') SCHEHERAZADE (154') AND LIBERTY (80').